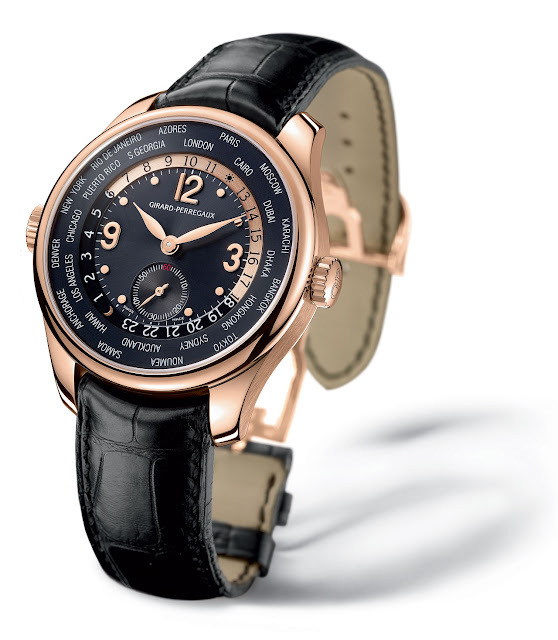 Girard-Perregaux has unveiled a new model in the ww.tc Small Second collection, marrying the brilliance of pink gold with the depth of a black dial. This exquisitely elegant interpretation emphasises the watch's clean lines while reinforcing the bold style which is the collection's signature. This version sees the ww.tc system, which allows the wearer to read both the local time and the time in 24 time zones simultaneously, allied with a small second function positioned at 6 o'clock. These harmoniously arranged functions form an elegant composition. In keeping with its long-standing quest for excellence, Girard-Perregaux has designed each detail to enhance readability, with a day/night contrast on the hour ring, large applied numerals and fine leaf-shaped hands. 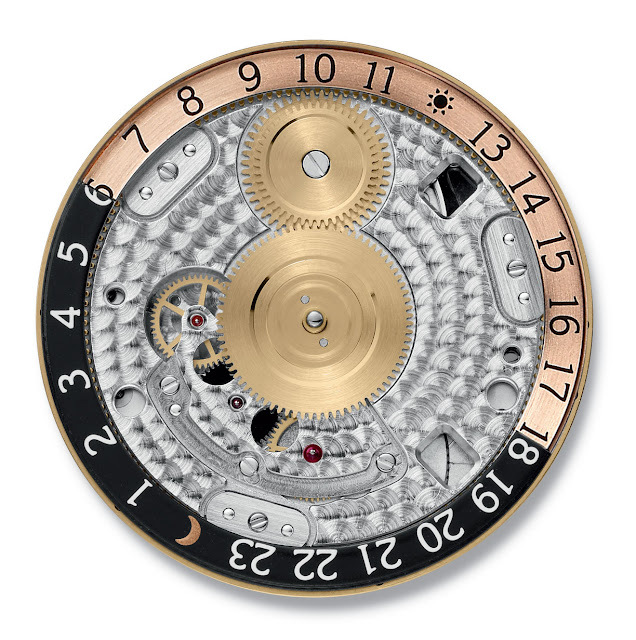 The marriage between the pink gold of the case and the black dial, repeated on the city ring, underlines the unique character and power of this model. The indices, hands and 24-hour ring also feature gold touches to accentuate the interplay of contrasts between the intense black and the precious metal. With a diameter of 41 millimetres, the elegant case demonstrates clean lines and harmonious proportions, its gently curved lugs ensuring optimal wearer comfort. The lustrous brilliance of the bezel and lugs contrasts beautifully with the satin-finished sides. A consummate expression of Girard-Perregaux's expertise, the ww.tc Small Second combines a unique style with sophisticated technical features. It houses one of the Manufacture's own self-winding movements: the GP03300-22, visible through the transparent case-back.